From matches to mobiles, antibiotics and the flexible drinking straw - some inventions don't just change the way we do things but change the world. Marvel at some of the world's most amazing discoveries that have made a sensation, from the first wheel to satellite navigation. Kids will love the incredible facts and info, such as why the tin can was invented 60 years before the can opener? Read on in wonder at the stories behind each ground-breaking discovery - the people, ideas and knock on effects. 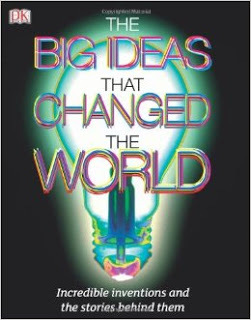 Some of the biggest ideas covered include the Model T Ford, Edison's lightbulb, Catseyes and the first Apple.